"A big congratulations to Tara from D Dunk Lewis & Graves for completing her first ever tandem skydive here at Skydive GB. 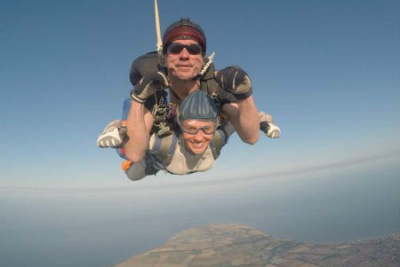 As she now knows, there’s nothing quite like falling to earth from around two miles up, whilst safely secured from a qualified skydiving instructor of course. Feel the air rush around you as you accelerate up to around 125mph! Not only is it an exhilarating experience, but the views are absolutely breathtaking too. Absorb the true beauty of the Yorkshire Coast as the plane takes the climb to 10,000 feet. "